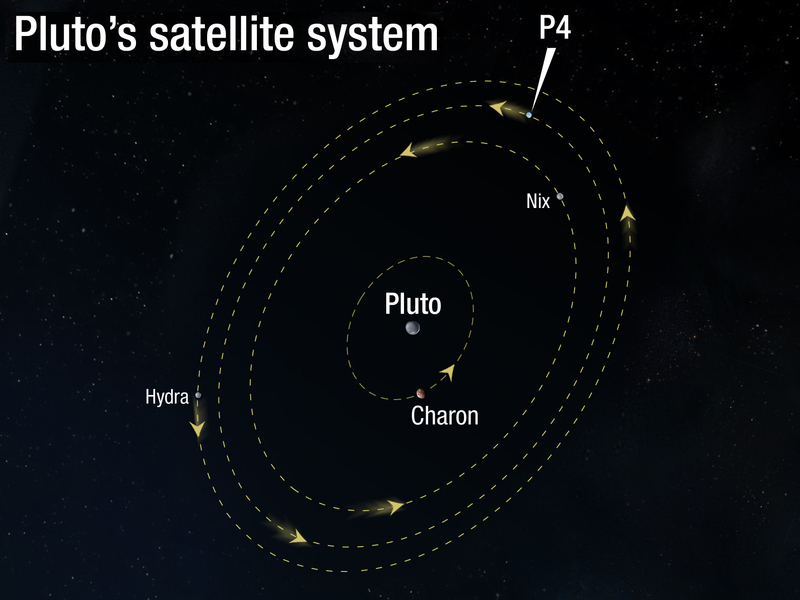 Here is NASA’s initial depiction of the orbits — bearing in mind that Pluto and Charon can be thought of as a binary system since Charon does not orbit around Pluto per se, with both orbiting around a common point well outside of the boundaries of both bodies. [page 40]. NASA's initial depiction of the NEW P4. Note that Charon's orbit 'around' Pluto isn't exactly as shown. This entry was posted on Thursday, July 21st, 2011 at 2:14 pm	and tagged with Anura Guruge, Charon, Devanee book, moon, NASA, new moon, P4, Pluto and posted in Books. You can follow any responses to this entry through the RSS 2.0 feed. Err… The moons offical name is not a P4… I dont know who made that up but you can find the offical name from here [http://www.cbat.eps.harvard.edu/cbet/cbet002769.txt]. The moon is offically called “S/2011 (134340) 1”. The moons are named like that with the discovery year on they Provisional designation. 134340 is the minor planet number of (134340) Pluto. Many minor planets have names that start with the same alphabet (and some do not have a name at all yet) so their moons cannot be named same way as the planetary moons (year, planets names first alphabet, number that tell order that that moon was foud that year). One example: The moon of (243) Ida was known as “1993 (243) 1” before it was named Dactyl.